This entry was posted in Britain, cars, current, disaster, domestic, expat life, minnesota, photography, weather, whimsy, world. Bookmark the permalink. I understand the lack of preparedness for snow in the UK, but I laughed myself silly when I saw a particular clip on the BBC website today interviewing some young people who had slept in their van at a petrol station rather than continue driving in the snow. OK, fair enough. But then they told the interviewer that they were surprised that they had to “dig their way out” in the morning. The snow was clearly less than 4 inches deep and they were shoveling a path to the road!! 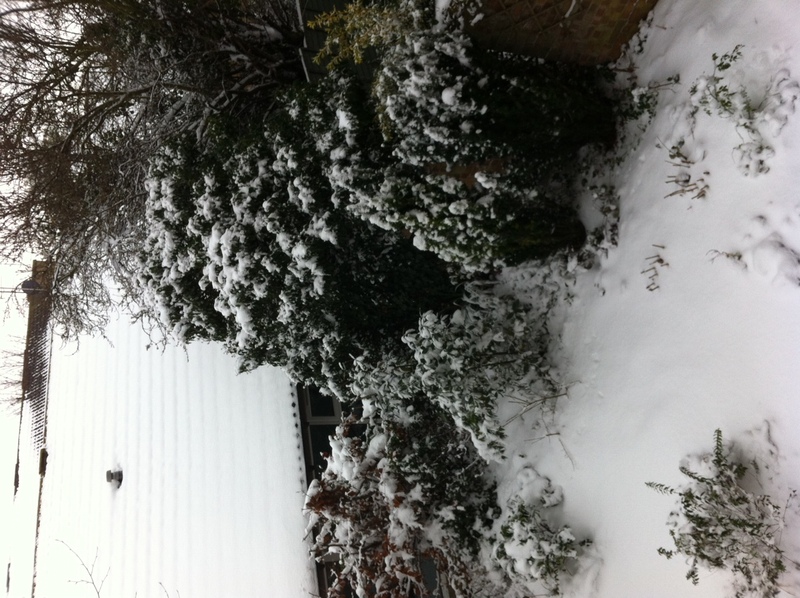 Yes, we Brits are rubbish at dealing with snow, but you’re right… it provides good weather-related drama. Mind you, I work with someone from Pennsylvania, and she gets really frustrated about how bad we Great Plains dwellers are at dealing with snow. She thinks it’s pathetic the number of snow days the schools have, and is often telling me how in PA, you’d have a huge snowfall overnight, but the ploughs and gritters would be out, and life would go on as normal. So I guess it depends on your perspective. I’m always impressed at how people just get on with daily life in spite of the snow, but her take on it is different. Have you heard the “wrong kind of snow” story? Ask a colleague. It’s a legendary “rubbish at dealing with snow” story. PS Am interested to know what you think of my latest post, if you have a moment, particularly as it pertains to student life. We only had a couple of inches – compared to last year, it hardly registered and by this morning it had pretty much vanished. Thing to remember is that people like to read about the apocalypse, especially if it isn’t actually happening. What we got was perfect for rolling huge snowmen, though!